If you were arrested in Jacksonville for driving under the influence of a controlled substance or alcohol (DUI), you are likely concerned about your drivers license. A Jacksonville DUI arrest will cause your Florida drivers license to be suspended. You have the right to an administrative hearing before the Department of Highway Safety and Motor Vehicles (DHSMV). If you would like a hearing, you must make this request within 10 days of your arrest. If this is your first DUI, you are probably wondering how to reinstate your drivers license. For a first DUI (misdmeanor), the standard revocation period is 6 months. If you refused breath/urine testing, your license will be suspended for 1 year. If you want a hardship license, there is generally a waiting period. If you submitted to a breath/urine test, the waiting period is 30 days. If you refused testing, the waiting period is 90 days. You can avoid this waiting period if you waive your right to an administrative hearing. 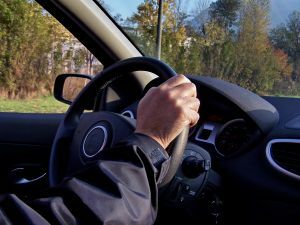 If a first time offender waives his or her right to a DUI administrative hearing, he or she may be able to receive a hardship drivers license immediately. There is a catch. By waiving your right to the administrative hearing, you are not able to challenge the DUI suspension. This could hurt you in the long run, so you want to speak to your Jacksonville criminal lawyer first. If you have been arrested for driving under the influence, you likely have a lot of questions. You should considering hiring a Jacksonville criminal lawyer to defend you. To speak to a Jacksonville criminal attorney, call (904) 564-2525 or send an email by clicking on Find a Lawyer.